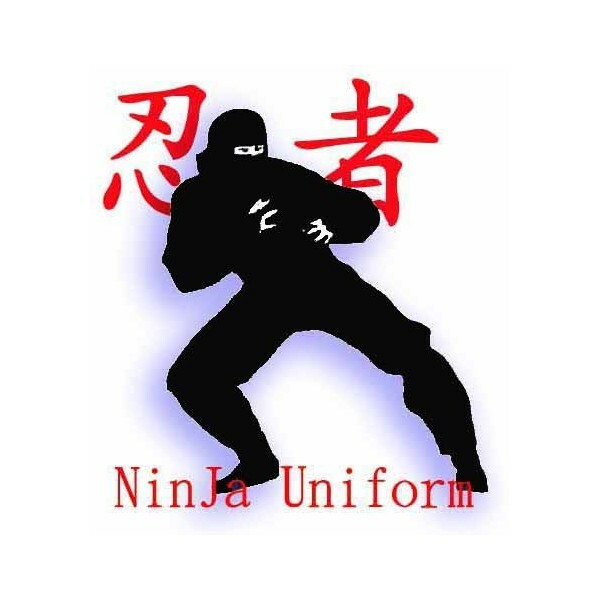 Ninja Uniform Black - Bok Lei Po Trading Inc. 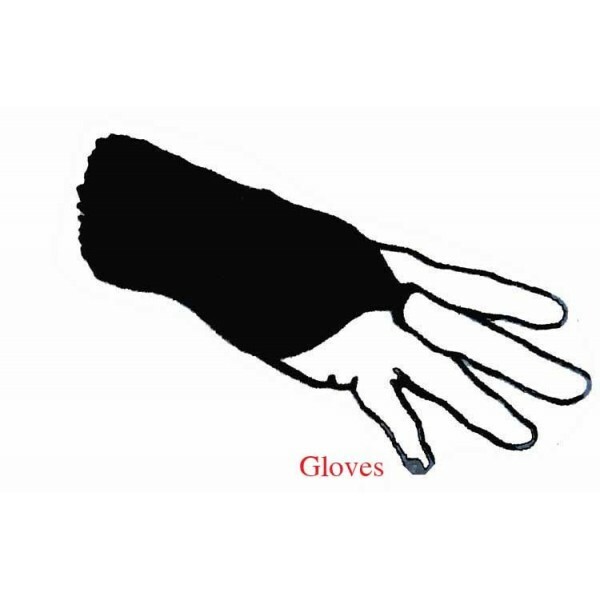 Traditional complete Ninja uniform. 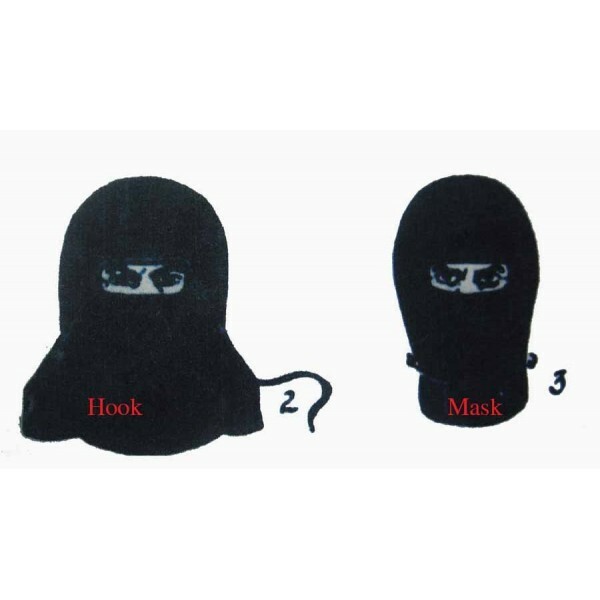 comes with jacket, pants, gloves mask and hook. there is a packet inside the jacket. 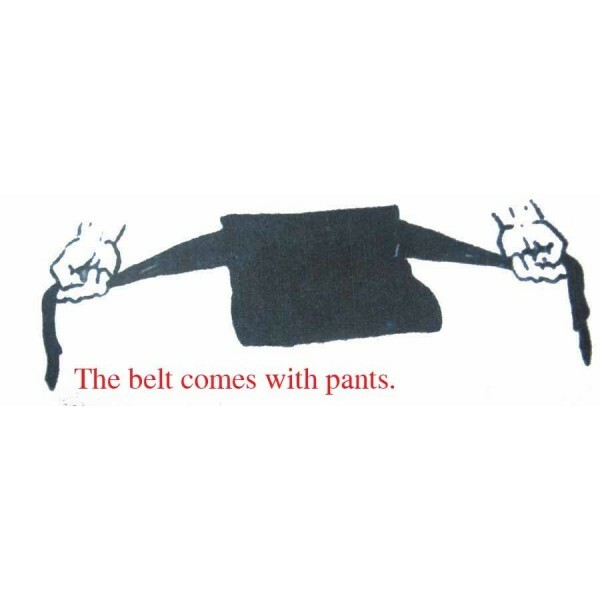 the belt and leg wraps come with the pants.